Challenge Your Purpose, Challenge Yourself, Challenge Your Business … To Make A Difference. Have you noticed how when we find a purpose bigger than ourselves we will so often challenge ourselves to go out and meet it? How many people do you know who have passionately embraced a charity race or event of some form and rushed off on a crash fitness regime to get fit to participate in it and raise some money for the charity involved? Then the social media fanfare and feel good moment of making a difference for a few hours is all over … along with the social consciousness and the contribution effort. Now imagine if the motivation of the bigger purpose of that cause was carried over into your business and you found a way to stretch that passion, momentum, enthusiasm, enjoyment and satisfaction of making a difference … over a whole year, or even years, by linking a contribution to the cause, directly to your business results. From years of contribution to various causes through my businesses, from local domestic violence shelters to homelessness, I know if the passion for the cause is strong enough, you’ll find a way to improve your results and make that contribution. I call it“incentivised contribution”. There are countless ways to make a long term, sustainable and meaningful contribution to making a difference through YOUR business … and it’s a great feeling when you do. Please don’t hesitate to contact me if you’d like some ideas or assistance. Then there’s the “double whammy” of finding a cause that allows you to combine personal involvement and enjoyment with your business contribution. In my case, I get to get excited about contributing to Kids Under Cover, an organization that does amazing work in youth homelessness here in Australia, through both my business and the personal challenge and adrenalin rush of the Cole Classic Ocean Swim. So what purpose and cause tugs at your heart strings to fire up your passion and how are you planning to make a difference through your business? It doesn’t matter how small you consider your initial contribution might initially be … a lot of little contributions quickly add up to a VERY big difference. 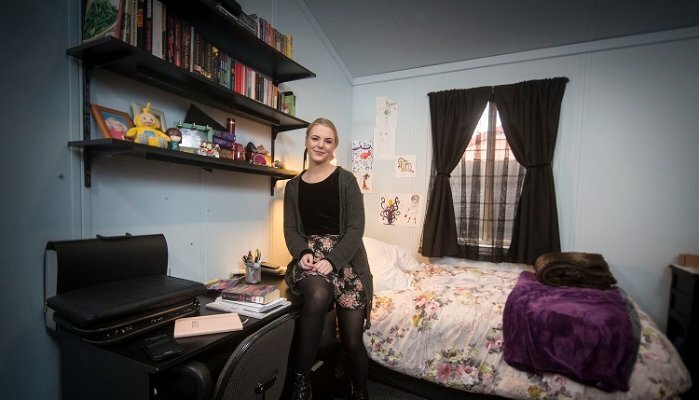 PS: The pic above is one of KUC’s “kids”, Kayla, in the re-usable studio that Kids Under Cover provided to help keep her and her family together. You can see all about it in Kayla’s story, it’s worth the watch.